The Italian scholar Giovanni Battista Vico is viewed as the first modern philosopher of history, a judgement largely based on his obscure 1744 masterpiece, "New Science". In this study Mark Lilla complicates this picture by presenting Vico as one of the most troubling of anti-modern thinkers. By combing Vico's neglected early writings on metaphysics and jurisprudence, Lilla reveals the philosopher's deep reservations about the modern outlook and shows how his science of history grew out of these very doubts. In works such as the untranslated "Universal Right (1720-1722)", a treatise on natural law, Vico emerges as a profoundly political and theological thinker who contrasted the authoritative traditions of an idealized Rome against the corrupting scepticism endemic in modern life. 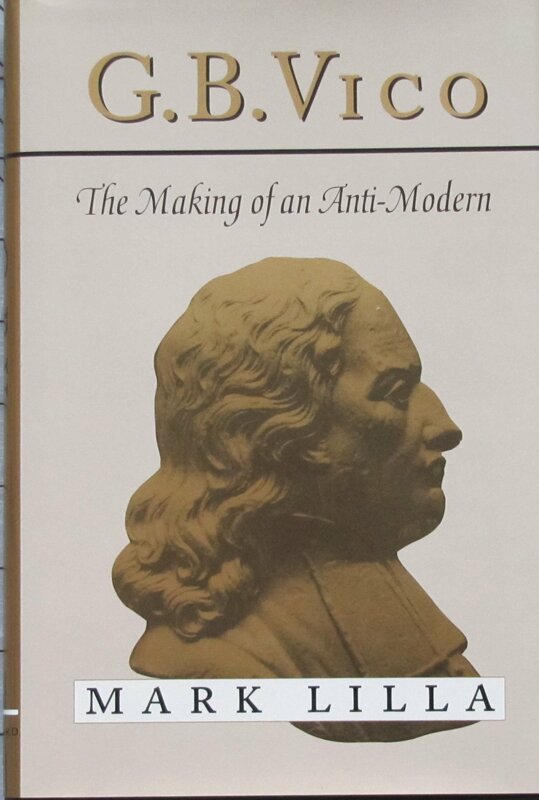 Vico explicitly blamed this scepticism on the founders of modern philosophy, particularly Descartes. Placed in the context of his critique of scepticism, Vico's "new science" of history appears in a wholly new light. Though modern in form, it can be seen here for what it was: a pessimistic vindication of divine authority directed agaist the freedom and reason that characterize the modern age. This introduction to Vico puts all the elements of his theories of authority, politics, and civil religion in their proper relationship with his theory of history. As such, it raises questions about the subsequent intellectual development of the anti-modern tradition as it relates to the historical and social sciences of our time.